After a very long hiatus; half a century to be exact, Tito Agnoli's iconic modernist masterpiece returns! This Italian minimalist masterpiece is the ultimate dream lamp for many modernists. 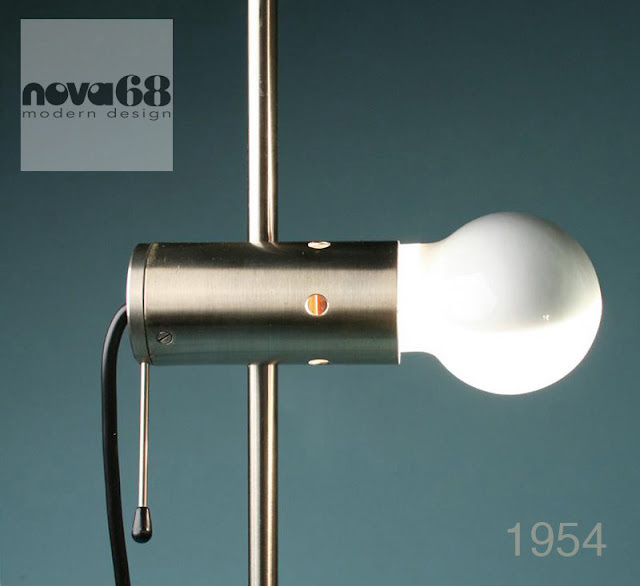 It was designed in 1954 with a stainless steel diffuser. This new edition is faithfully reproduced according to the original drawings but, according to the wish of Tito Agnoli himself; the diffuser is now finished in a matte nickel lacquer, something that was not technologically possible when it was first introduced in 1954. 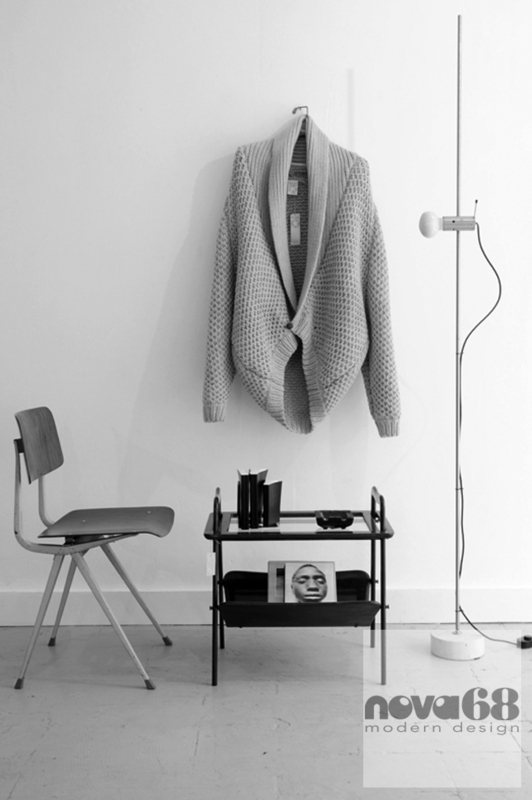 Brilliant in its simplicity, this Italian floor lamp is a modernist masterpiece of mid 20th century lighting design. Its purist and elegant silhouette combines form with function in a way that few other floor lamps have ever achieved. The 387 model, always know simply as "Agnoli 387 Lamp" after its designer, is one of the oldest items currently in the Oluce catalog. An absolute forerunner of minimalism, the Agnoli floor lamp takes the extraordinary "Cornalux" or "hammerhead" bulb, capable of directing the light in a highly precise manner, mounting it onto a sliding tube on a stem. 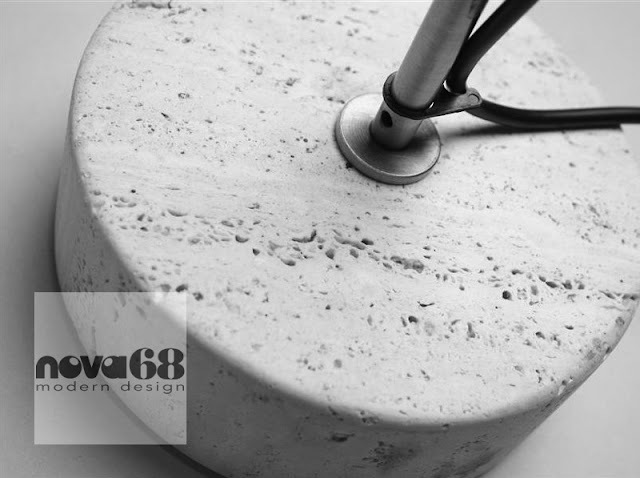 The Agnoli lamp has a sophisticated thick Italian travertine base: another element in which simplicity and functionality are transformed into poetry. The Tito Agnoli 387 Floor Lamp is referenced in Repertorio Del Design Italiano 1950-2000 per L'arredamento Domestico by Gramigna, Giuliana, Vol. 1, Torino 2003, S. 39.